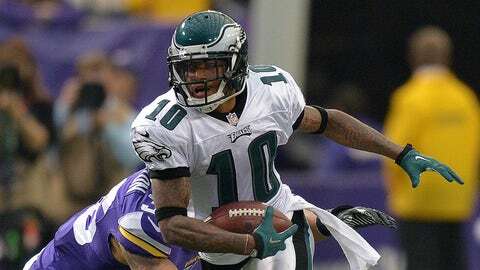 DeSean Jackson is taking trade rumors into his own hands. Trade rumors surrounding Philadelphia‘s DeSean Jackson have reached a fever pitch, with reports that the Eagles are plotting to move on without their wide receiver, and teams such as the Oakland Raiders, Carolina Panthers, New England Patriots, San Francisco 49ers and New York Jets reportedly showing interest. Never known to be a shrinking violet, Jackson nevertheless has not spoken out publicly about the possible trade. A walk down memory lane or a thinly-veiled bid for the teams he’d like to join?